Sports law has been growing rapidly over the last few years,regularly making headlines as well as leading to a developing body of law practised by specialist lawyers. This new work, by leading practitioners in the field, is the first to provide a coherent framework for understanding the law in this area, as well as a deep analysis of its key features. The subject can be split into various areas of practice. 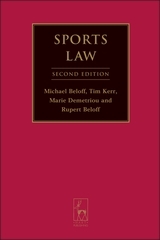 For example regulatory rules, which cover what can be described as the constitutional aspect of organised sport (this includes the enforcing of regulatory codes and the disciplinary procedures of the various sport governing organisations). Second, broadcasting and marketing which covers the revenue generated by the commercial exploitation of sports clubs, sporting events and players. This area has grown rapidly following the huge infusion of finance from television and corporate sponsorship into a growing number of sports. A third area is player representation, which focuses on the players and includes a broad range of legal issues including club transfers and player contracts (including the famous Bosman ruling), employment advice, personal injury litigation, disciplinary tribunals, discrimination law and remedies in the courts. 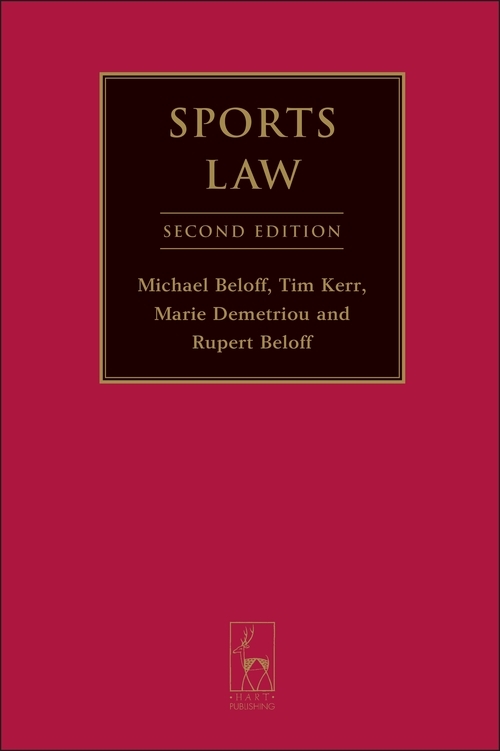 The audience is solicitors and barristers, legal advisers to sports organisations and clubs, legal advisers to corporations and media companies, academics teaching sports law, sports administrators and law libraries. Tim Kerr QC is a Barrister at 11 King's Bench Walk, specialising in public law, EU law, sports law and human rights. Marie Demetriou QC is a barrister at Brick Court Chambers. © Bloomsbury Publishing Plc 2019.